Arag is the second direct sequel to Kev and is about things that Kev might have been about if I had been writing Arag when I wrote Kev. So, it is a different story for the most part, except for the parts that are the same, which are not many. 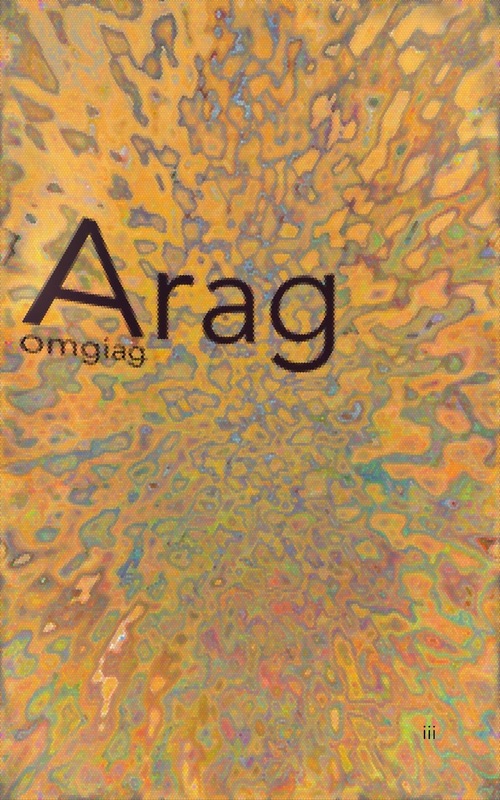 So you know, Arag is a neanderthal. Arag is also quite touched. Arag has many doubts, and those doubts have a tendency to drastically alter reality. Of course, there are other characters in this book. What kind of book would it be if there were only one character? I mean, I considered making Arag the only character, but after writing a couple of sentences I realized I needed another character to interact with Arag. Things kind of steamrolled from there and I ended up writing in a host of other characters, some familiar, some not. I won't be giving anything away if I tell you Arag gets pulled into a game, a game that could determine quite a bit about all existence. You won't have to read far into the book to figure that out. You will have to read through the last page, however, to figure out what happens. Of course, you will probably never know why any of it happens, but that's just the nature of things.